At Harty Search & Selection, we project manage all stages of the search and selection process for our clients. Prioritising the client’s specific requirements, we work confidentially and decisively within a set timeframe. Communicating at regular intervals, we guide and support, providing consultation as appropriate. Our industry knowledge and research capabilities also enable us to discreetly approach candidates who are not actively looking for a move but are of interest to the client. Honouring loyal, long-term alliances with our clients, we offer an attractive “hands-off” term of service with respect to their staff. 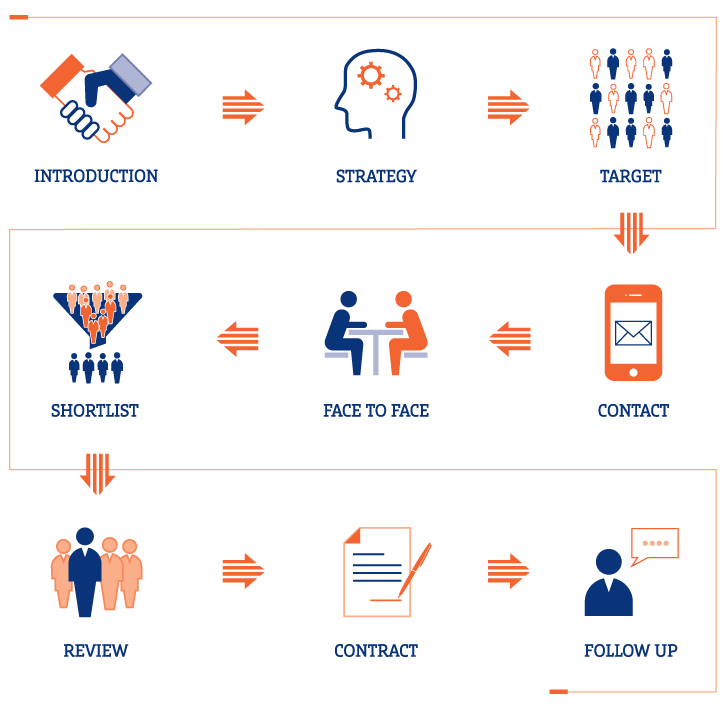 Our unique and comprehensive 9-step process has been developed with 30 years’ executive search experience. Find out more about what we do by downloading our company brochure here.